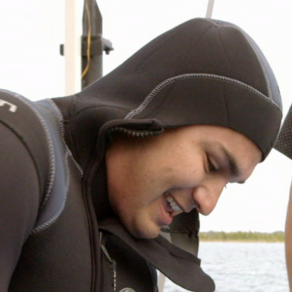 Rudy and Jacob travel to Tobermory, Ontario, where they head to the middle of Lake Huron for their first underwater archaeological expedition. While Rudy controls a sonar-equipped R.O.V. from on deck, Jacob joins a team of scuba divers to search for evidence of ancient drive lanes used to hunt caribou. Esteemed storyteller Lenore Keeshing helps put the science in context by sharing Ojibwe oral tradition. Rudy, Jacob kci, Tobermory, Ontario hecedkiya iyayapi. 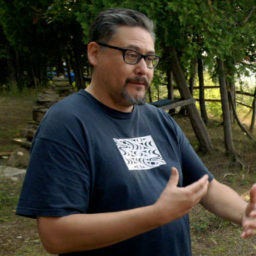 Lake Huron cokaya hed mnimahed makoce owaunspe hed waecun skanpi. Wata wan wakantu kin hed, Rudy, mazakoka R.O.V. cajatapi kin wan yuha skan. Jacob, wicastapi kci kuya mni ohna niwepi. Tukted he tahca omanipi kin ehanna hena odepi. Hed oyaka wicasta wan, Lenore Keeshing owaunspe kin hena Hahatonwan wicohan akab owicakiye. 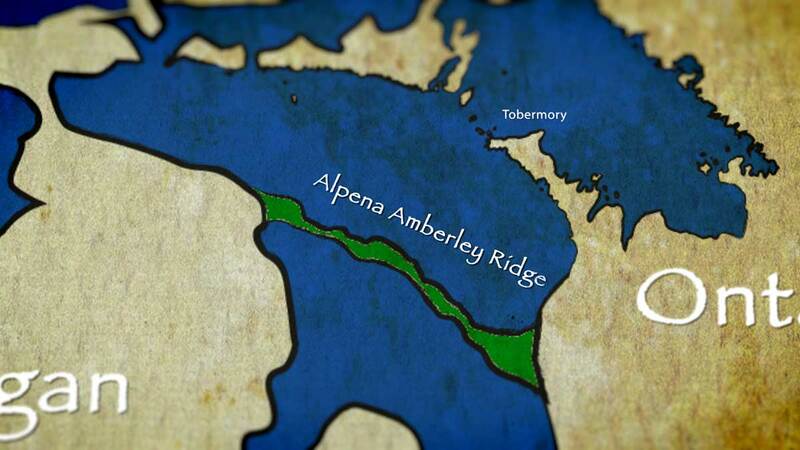 Lisa was awarded the Social Sciences and Humanities Research Council of Canada (SSHRC) Postdoctoral Fellowship to investigate submerged prehistoric archaeological sites on the Alpena-Amberley Ridge in Lake Huron. 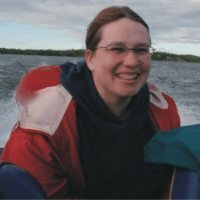 Her work has been featured in the New York Times, USA Today, the Vancouver Sun, and on the award winning weekly science program ‘Quirks and Quarks’ on CBC radio. Oyate Woiyukcan-Oyate Oiyukca-Omniciya Unci Makoce pejuta wicasta pi wanji icu. He wiconi kin makoce owaunspe mini mahed wayake. Bde wan Huron cajeyeta pi kin hed waecun. Wowapi wanji New York Times hed yustan qa USA Today qa Vancouver Sun. Nanku kahniga pi oiyukcan unspeiciciye, “Quirks and Quarks” koka anagopta CBC etanhan. Unmanned, remote operated vehicles (R.O.V.s) allow us to dive deeper, longer and carry instrumentation not otherwise possible. We can accurately measure depth and distances, reach pressures that would be dangerous for a diver and take samples that are otherwise inaccessible. 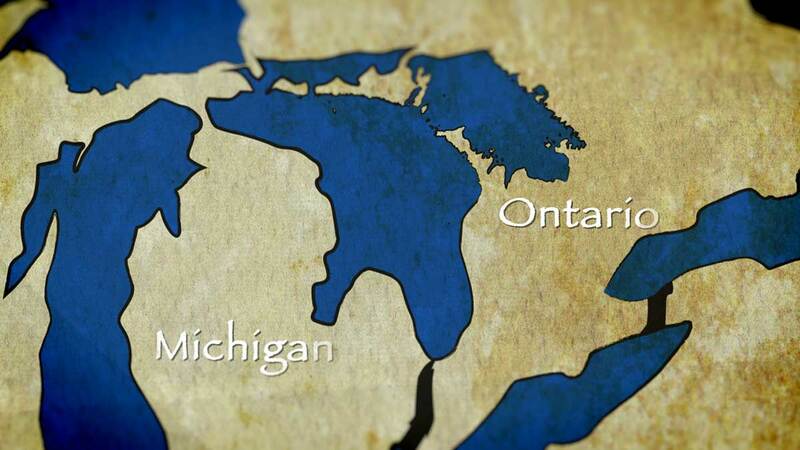 On this episode of Wild Archaeology, the sediment at the bottom of Lake Huron reveals something surprising. Taku mini mahed kahapapi he ocib tanhan hokutkiya yapi okihipi. Taku kasta icagu pi okihipi, hece okahnigapte. I didn’t even know underwater archaeology existed! Mini tan makoce owanunspe he taku kin he ataya sdodwaye sni! Microdebitage consists of tiny flakes of stone, usually resulting from someone making a tool or weapon. Tiny flakes break off during the shaping of a spear point or stone tool, leaving traces for scientists to find later. Amazingly, these very small samples tell a big story. Inyan kabdeca pi hena wikicanyan qa wahinkpe Ikce Wicasta unpi. Inyan kabdecapi hena iwiwohdaka tanka kte tokatakiya. Listening to Lenore’s GeoMythology was really uplifting. She has linked her people’s history with all the research that has been going on for decades. Lenore makoce Iwohdake kin anagopta make kin nina iyomakipi. Tiwahe wiconi ehana iwohdake kin hena omaka ota wana decitkiye anpetu kin de ahi. Lake Huron - 10,000 B.P.